Mince pies are a quintessentially British Christmas treat. They are made from pastry and a fruity, spicy mixture that the Brits call mincemeat, even though to contains no meat at all! Despite coming from Britain, mince pies are also popular in New England, but, in the rest of the world, they are a bit of an oddity. However, don’t let that put you off – these little pies are delicious. I remember the first time I ever had a mince pie. A British friend of mine invited me to visit her in London for Christmas, and that involved throwing myself into British culture. Pubs, flat beer, soccer – which they call football, and a whole bunch of other unusual but fun things were topped off with a traditional Christmas dinner. A British Christmas dinner is usually turkey, stuffing made from sausage meat, and lots of different vegetables. Dessert is usually a very hearty steamed fruit pudding, but a lot of families save that for later in the day and have a much smaller mince pie instead. Both are usually served with brandy and sugar-infused butter – delicious! 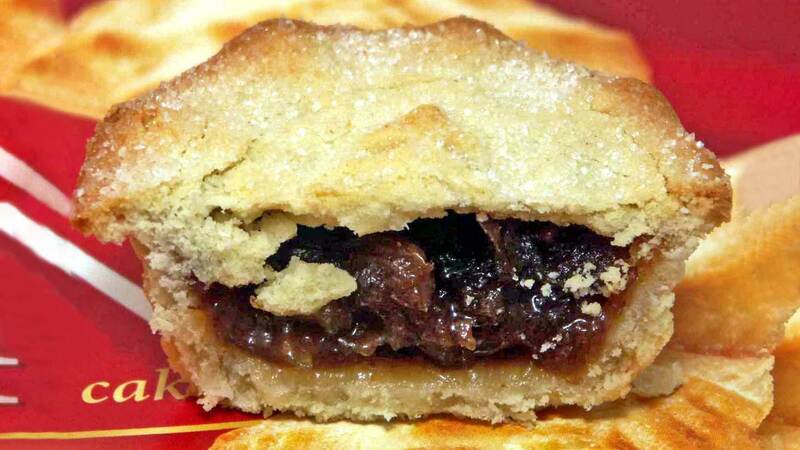 Why not embrace your inner-Brit and make some mince pies for your family this Christmas? They are so easy that the kids could do it! Different ideas for different choices and tastes, but all recipes are very easy and using less than 8 Ingredients. Find Christmas recipes here.